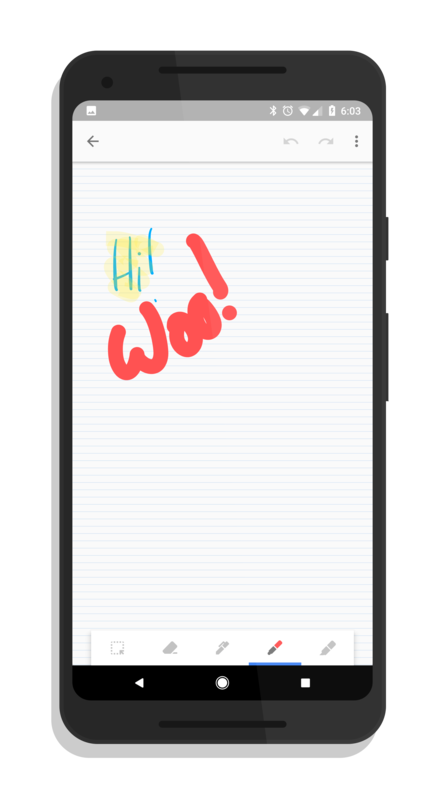 If you open up a note within Google Keep and want to add a drawing (using the + icon in the bottom tray), you will open up the note with the drawing tools at the bottom. Now tap on the overflow menu in the upper right corner (the three vertical dots) and select Show Grid. 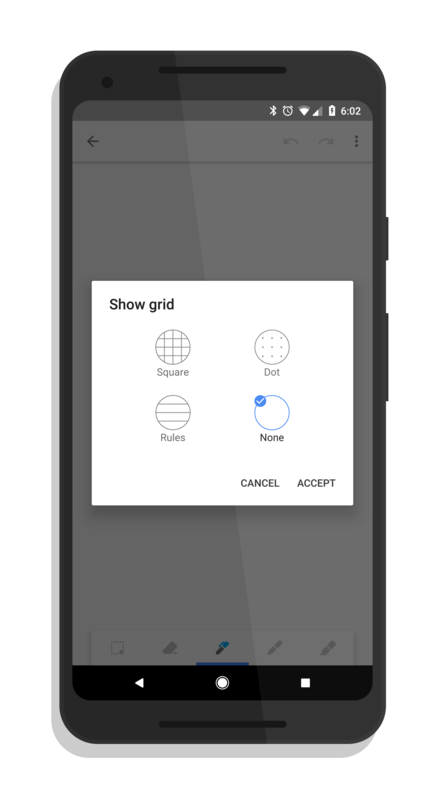 You’ll see an options display that gives you three different grid options – Square, Dot, or Rules – or no grid at all which is the default. Tap the one you want, then Accept and it will show up in your note. Here is an example note with the Ruled grid enabled. Beyond support for grids and rules, this update to Keep has other performance and bug updates in it too. As is the normal practice of Google, they didn’t disclose exactly what was addressed in those fixes. The update is rolling out now and you should have it already but if not, it shouldn’t be more than a day or two for everyone to see it.